On the north-western border of the renowned Serengeti National Park, you’ll find the Grumeti Game Reserve: a migratory corridor for herds of animals naturally passing through the area. The remote, lush location offers a far greener safari experience than if visitors were to venture further east. Rolling hills, river, and woodlands patchworked into the terrain extend resplendently as far as the eye can see. 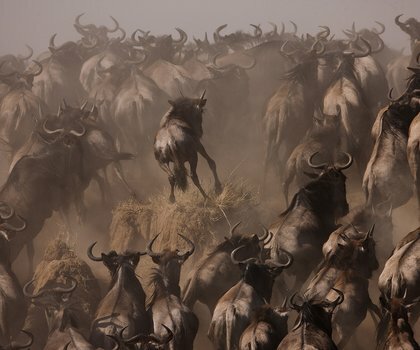 The 138,000-hecatre private concession accommodates herds of zebra, wildebeest, and other migratory animals as they follow their ancient routes to Kenya and back again to Tanzania - known as the Great Wildbeest Migration. 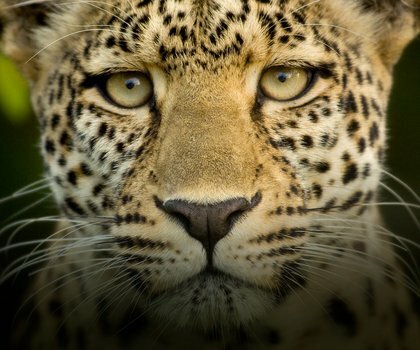 The reserve closes for two months of the year in April and May but the most successful game-viewing times follow directly after and are said to occur between late June and early October. Visitors to Grumeti will find themselves endlessly entertained. Twice-daily game drives may be undertaken to spot the wildlife, or those wanting to get up close and personal with the land can take to the plains on the back of a horse and race among zeals of zebra and towers of giraffe. 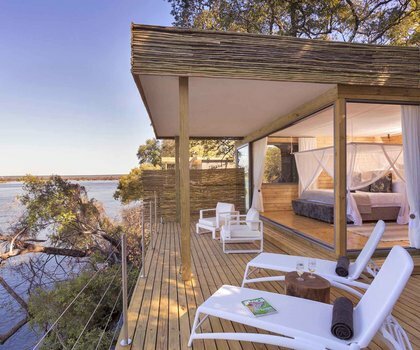 A number of lodges are located in the park, offering guests a secluded and opulent safari experience. There are numerous accommodation options at the Grumeti Game Reserve. Have a look at some of our favorite lodges and speak to a consultunt who will answer all your questions and help you book your holiday. Enjoy a safari like no other with the exclusive-use Singita Serengeti House. Overlooking the Grumeti Reserves game-dotted plains, guests can spend days scouring the landscape for the Big 5 and in hot pursuit of the Great Migration in their own private vehicle, complete with a private guide and tracker. You’ll be forgiven for thinking the Serengeti belongs to you with Singita Explore Mobile Tented Camp where safari-goers are given a front-row seat to the Great Migration as it passes through the Grumeti Reserves. This exclusive-use camp allows guests to personally tailor their itineraries to their own unique tastes and schedules.